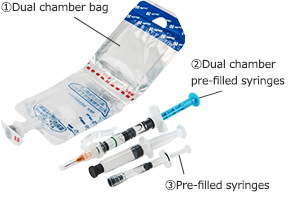 The greatest strength of Nipro Pharma is its familiarity in product development methods focused on alleviating the workload in medical institutions and on convenience for patients, based on its proprietary development power and production technologies in all categories of injectables, orally administered drugs, and external preparations. 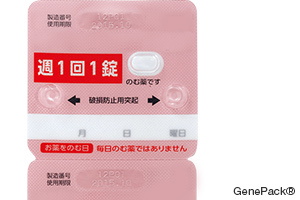 We thus make suggestions concerning the development of products with high added value, such as kits, oral disintegration tablets, DDS agents, TTS agents, and oral disintegration films. 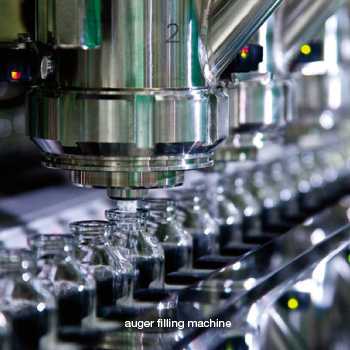 Thorough containment measures have been taken for highly reactive injectable agents, such as anticancer drugs, steroids, and hormone drugs, by building separate plants for each type of drug. 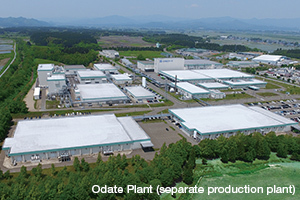 We have also established a completely dedicated separate plant for the contract manufacturing of orally administered highly reactive agents. 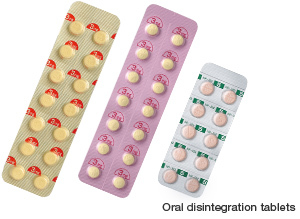 In the category of orally administered drugs, we have a wide variety of technologies for oral disintegration tablets, which easily dissolve in the mouth despite their extreme hardness, and we produce oral disintegration tablets in accordance with the needs of pharmaceutical companies. We can also produce enteric drugs and sustained release drugs, using our DDS technology for controlling the release rate of drugs. In the category of external preparations, we have an advanced technology for producing systemic transdermal absorption agents (TTS), where the drug is delivered through the skin to the systemic blood circulation, thereby reducing adverse drug reactions and exercising high efficacy. We can also support the development and production of poultices and tapes, leveraging our technology that achieves high skin permeability while combining secure attachment to the skin and ease of removal. In the category of injectables, we provide total management in accordance with the target drug and its regimen, based on our extensive experience and know-how with devices and materials. 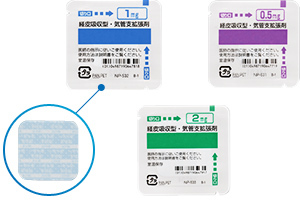 In the category of orally administered drugs, we can make the ideal suggestion for combining the target drug and its container, such as the specially designed PTP sheets which have a blank space for writing a date of taking the drug to prevent missed taking, while developing PTP products with universal design that enables patients to easily press tablets through the package.